After the recent suicide of a Dalit student at Hyderabad's Osmania University, the possibility of protests has forced it to indefinitely postpone and perhaps even abandon its plans to host the annual Indian Science Congress that was scheduled to take place between 3 and 7 January. In fact, for the first time in its over 100-year history, the 105th edition of the event - the largest annual congregation of Indian scientists - may not even take place. This was announced by the Ministry of Science and Technology based on information they had got from the general president of the Indian Science Congress Association (ISCA), Achyut Samanta. 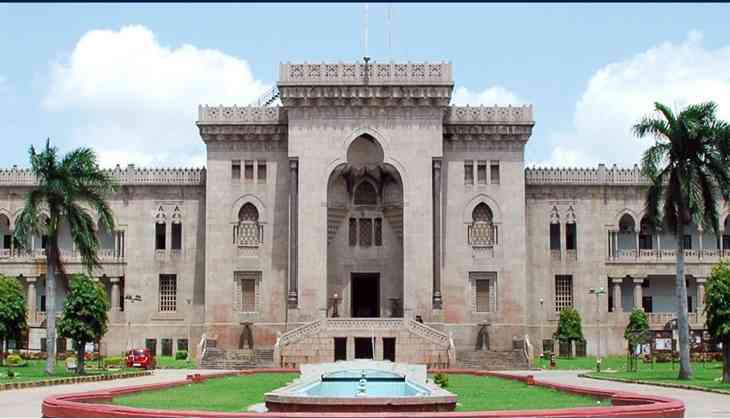 “Vice Chancellor of Osmania University has informed that they are not in a position to host 105th Indian Science Congress scheduled from 3-7 January, 2018, due to certain issues in the campus,” the ISCA said. University officials have claimed the reason for delaying the event is over the fears that students would organise protests against Prime Minister Narendra Modi, who was scheduled to attend, on the issue of discriminating against Dalits. On 3 December, Eramina Murali, a 21-year-old Dalit student pursuing a postgraduate degree in physics, committed suicide at the varsity. Murali wrote in his suicide note that he was unable to cope with academic stress, but students claimed it was a result of the anger and discontent over lack of government jobs for Dalits since the creation of Telangana and discrimination within academic institutions. Students of the university have been protesting since. But as Dr Rajesh Kota, student leader of the Progressive Democratic Students’ Union says, the reason behind the protests isn't that simple. "The government of Telangana has not shown any interest in the event, which means the university has not gotten any financial assistance from it. Every university that hosts the Indian Science Congress gets financial backing from the respective state government. The event cannot be hosted without such funding," he says. "That is the real reason the event is not taking place," the Political Science post-doctoral fellow says, adding, "the university has not declared the reason for the postponement of the event, it is the police and government who have pegged it on student protests. They have only said that they will not be able to host the event." Thirupathi, a leader of the Telangana Movement and a student leader in Osmania University, spoke of how officials cannot officially talk against the government. "Everyone wants the event to take place. The announcement made by the university was made under pressure form the government. The current Telangana government is not inclined towards massive funding on education and events such as these, he says. "I do not know the real reason behind why this has happened. It is absolutely unprecedented. And especially in the last moment when hundreds of scientists were scheduled to attend from all over the world. It is very disappointing,” says Dr Asis Dutta, former president of the Indian Science Congress. An ISCA official said that an “emergency meeting” of the executive council had been called for 27 December to discuss the next course of action. The event may be postponed and relocated to another university.